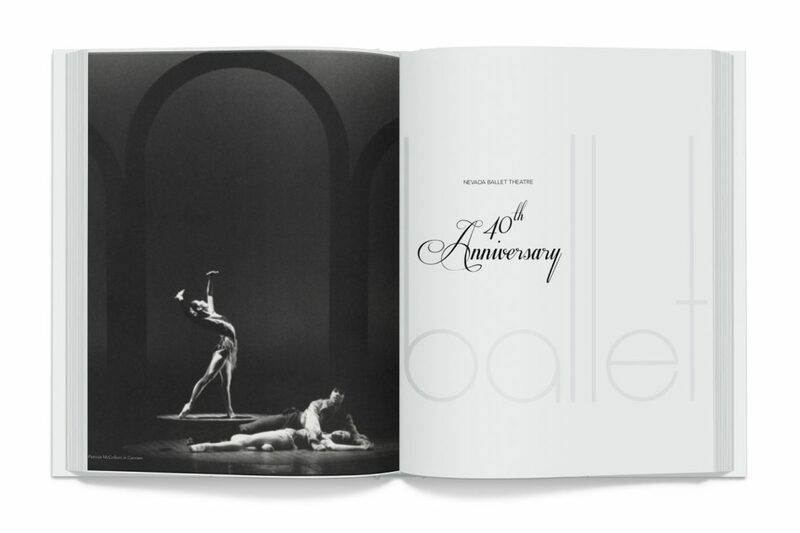 In 2011, Nevada Ballet Theatre turned 40. 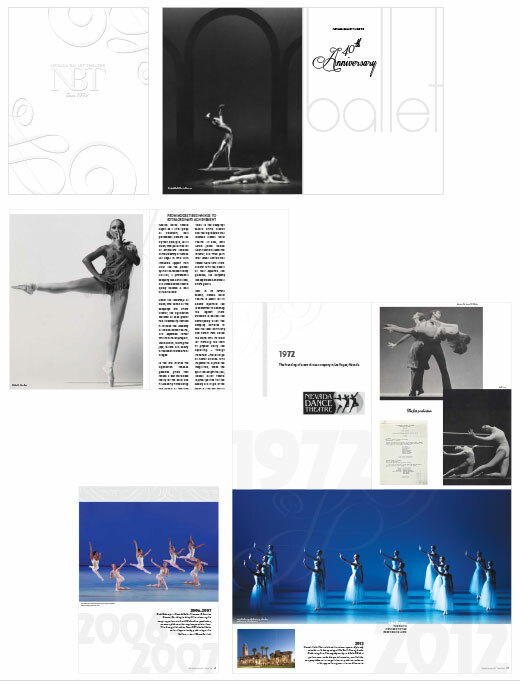 In addition, NBT was debuting as Resident Ballet company of The Smith Center for the Performing Arts. 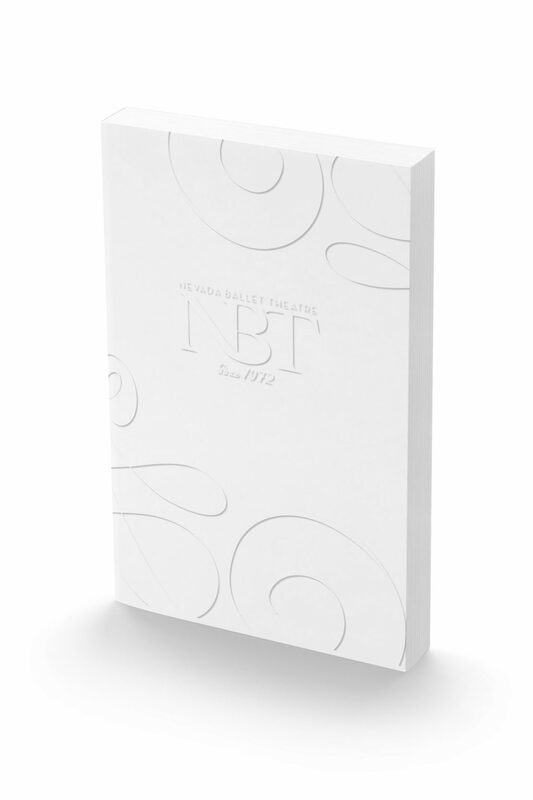 To commemorate this grand event, NBT commissioned Quixotic Creative to create a keepsake book honoring the 40 years of the organization. Keeping in mind the company’s non-profit budgetary concerns, Quixotic created a design that leaned heavily on luxury design concepts and simple and elegant print techniques. The cover was a a blind emboss flourish in spot gloss varnish intended to be subtle and classic. 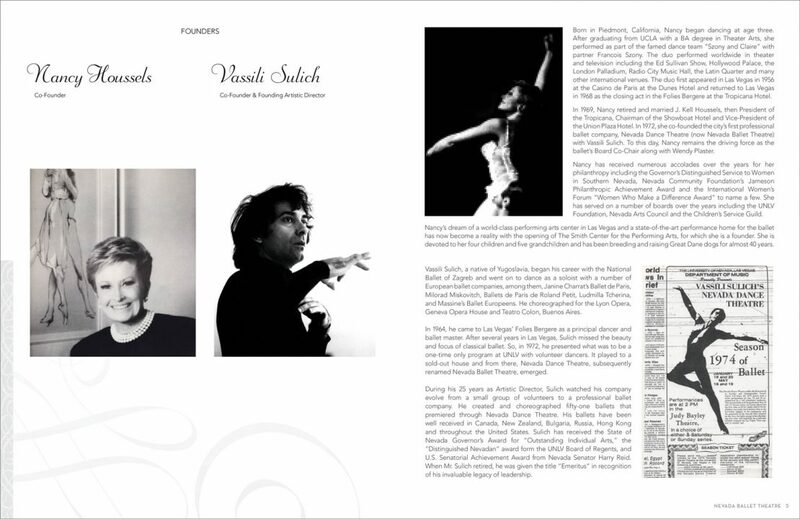 With advertisers such as Cartier and Hermés, and contributors including US Senators, Representatives and leading philanthropic families and prominent executives, the keepsake book was a commercial and public success.